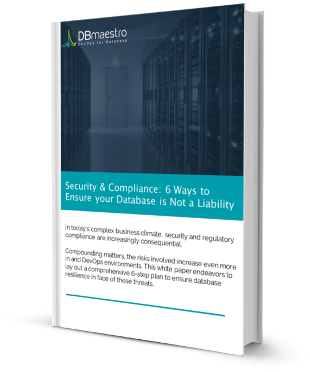 In today’s complex business climate, security and regulatory compliance are increasing concerns for companies. In a few areas these concerns are more substantial, such as when unauthorized database changes can spell disaster. The risks involved increase even more so in agile development and DevOps environments, with their continuous delivery and demand for faster and ever more minutely defined releases.